What comes to mind when winter is mentioned? Snow? Icy roads? Layers of warmth? How about sunny skies, mountains, and the beach? 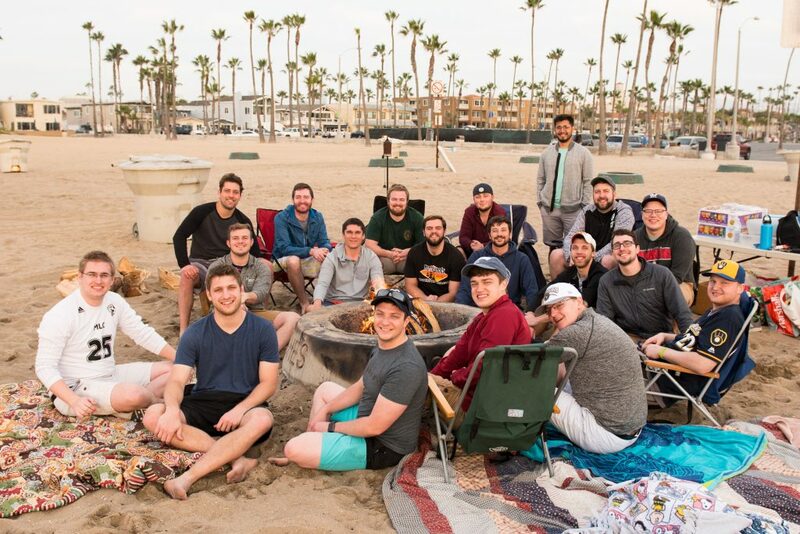 For this year’s Alternative Urban Outreach trip, twenty-one seminary students—led by Professor Sorum—arrived to this pleasant winter in California. However, we didn’t just come for a pleasant California winter, we came to serve and assist Crown of Life Lutheran Church in gospel outreach. Crown of Life is a multi-site church with three campuses located in Southern California: Corona, Riverside, and Yucaipa. These areas of Southern California are located about sixty miles east of Los Angeles. There are three pastors that work together in serving Crown of Life: Pastor Steve Koelpin (Yucaipa campus), Pastor Eric Hansen (Corona campus), and Pastor Dean Ellis (Riverside campus). We were split among these three campuses and pastors into three teams each serving a different community to complete one mission. Throughout the week each team canvassed and conducted ethnographic surveys in the neighborhoods surrounding their campus. The purpose behind these surveys was to gather information which would help us develop a ministry plan to reach out to the community with the gospel. Conducting these surveys also presented us with opportunities to share the good news about Jesus. Over the course of three days, we touched 4,053 homes, interacted with 1,041people, shared the good news about Jesus with 261 people, and gathered 102 prospects. On our last day of canvassing and conducting surveys, the numbers were bumped up even higher to over 5,000 homes touched! By the end of the week, each team had collected information vital in developing a detailed ministry plan of how to reach their perspective communities—Corona, Riverside, or Yucaipa—with the gospel. At the conclusion of our time in California, we gathered at the Riverside campus to present our team’s ministry plans. We presented to Crown of Life’s Leadership Board and the pastors who evaluated each team’s ministry plan and its potential value in implementing it in the next year. Each team presented valuable information for Crown of Life to ponder as they move forward considering what ministry plan would be best to implement at one of their campuses. However, they weren’t the only ones left with something valuable to ponder. As we returned to the Midwest, we also had something to ponder and reflect upon. There may have been plenty of awkward and uncomfortable situations, shut doors, barking dogs, an array of kids, and polite people…but what opportunity there is in telling someone about Jesus! Whether it was our first time or thousandth time canvassing…we left with new experiences, more confidence in approaching someone about their Savior, and the same unchanging message of Christ. If there is anything to ponder from the doors we knocked on it is this: taking 10-20 seconds to share the sweet, simple gospel of Jesus with someone will be some of the most important 10-20 seconds of that person’s life. Important because of us? No, not at all. Important because of that glorious message of Christ enduring and leading to an eternity of heaven.